GET A LOOK GET A LIFE! What is the art of ‘dressing’? The children of Ziggy Stardust took personal image to fantastical extremes. The scene is set… It’s the late 70’s; post punk, electronica and disco music fill the elitist club underworld. 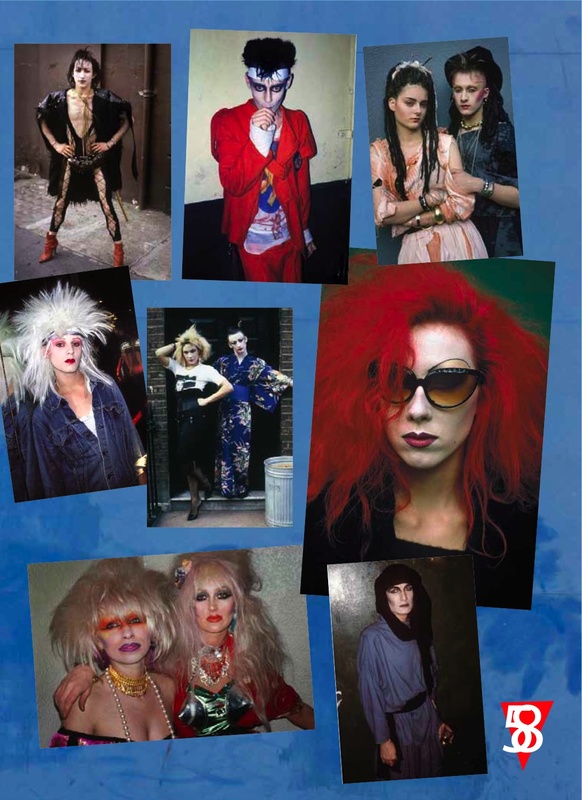 From ‘Club For Heroes’ to ‘The Blitz’, the so called ‘New Romantics’ explored and experimented with clothes, makeup and music putting together unusual combinations and breaking all the rules. 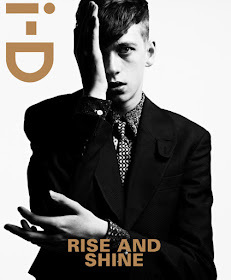 Referencing classic and tailored looks, mixing historical pieces and tackling twisted versions of pirate, film noir movie stars with dandy’s of yore the ‘Cult With No Name’ created it’s own street which in turn became the catwalk of the future... there was nothing part-time about being a Blitz Kid. The era was ripe for a melting pot of inventive style to erupt; beautification and imagination were part of creating your own personal identity with attention to detail and inventive twists on traditional style. Boy George sometimes wore a ‘Geisha’ look complete with kabuki inspired make-up and a confrontational stance, while friend Marilyn took on a demi-drag translation of glamour inspired by his namesake. The overall impression was escapist and surreal. In The Blitz club itself zoot suited soul boys hustled next to girls with crimped and bouffanted hair. Toy soldiers sidled up to peirot dollequse dressers and asexual fops dressed in lace collars and cuffs. Rock-a-Billy boy quiffs and exaggerated asymmetrical wedge fringes hung over made up faces posing and poised for a the click of a camera but at the same time engrossed in mutual admiration for the creativity the scene encouraged. There were no boundaries except to delve into the dressing up box as much as possible… this was not ‘fancy dress’, more ‘dress fancy’. A reinvention of attitude far flung from convention of the time, intended to be controversial and thought provoking compared to the norm. By the dawn of the 80’s the somewhat D.I.Y. flair of the Blitz Kids had filtered unsurprisingly into mainstream fashion. 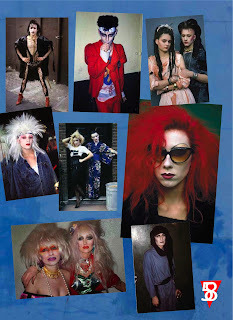 i-D magazine with it’s ‘straight up’ street style portraits had become the scene-stealers bible. The New Romantic era had created a platform of inspirational thinking signaling new dress codes that leant heavily on a combination of classic and daring futuristic looks the initial scene had pioneered. Further down the line traces of romanticism could be seen in the mainstream wardrobes of fashion followers while the stars of the Blitz went on to become designers and popstars in their own right. The legacy of innovative thought and lifestyle of the Blitz scene truly weaved its way through the remainder of the 80’s, 90’s, and 00’s and on to the present day. While references to music and mode of the time have been continually rehashed with the necessary twists, still something of the attitude remains… the urge to strike out and make a visual impression with total conviction. 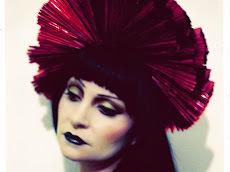 Call The Tiger - Performance from Bishi TV on Vimeo. Earlier this year Bishi opened the Whitechapel Art Plus Music Fundraiser 2010 with an interactive performance, 'Call of the Tiger,' in collaboration with Oscar Sol, Neil Kaczor and Matthew Hardern (Glamorre). Here's the amazing video! Throughout Bishi's career she has continued to investigate and collaborate with her voice, costume and production. This work sees Bishi striking out on all three levels.